As part of downtown Birmingham’s 2016 Master Plan, the city established Maple and Woodward as a landmark entrance. The vision scored another development with All-Seasons Birmingham, a $29-million luxury, senior residential project scheduled to open in early 2015. Located at the southeast corner of Maple and Elm streets, a block from Woodward, the building will feature a roof top terrace and sky lounge overlooking downtown Birmingham, two dining rooms, a bistro bar, a library, and a high-tech computer bar. One and two bedroom residences will range from 750 to 950 square feet. About eight of the residences will offer tenants the option to use their space as both a home and an office. “(The live/work residences) will be on the ground floor and will have direct street access. If we have a resident who, perhaps, had a law office and still wants to practice, they can do so from their residence,” Bongiorno says. Beztak has received 40 applications for the residences, and plans to break ground on the project in two weeks. 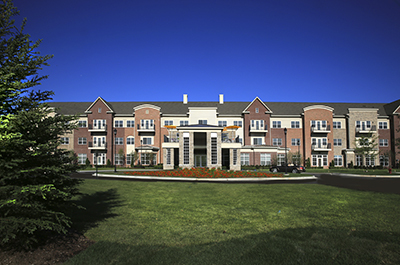 The company has All Seasons locations in Rochester Hills, which opened in 2005 and has 144 units, and West Bloomfield, which opened in August with 125 units. An All Seasons location is also under development in Naples, Fla., and is expected to open in late 2015. Beztak currently has its eye on two other unnamed sites in southeastern Michigan, as well as Phoenix and Tucson, Bongiorno says.